An entrepreneur’s business strategy should include a policy on achieving and retaining customer loyalty. After all, the chances are that customers satisfied with a business will return and make further purchases. Entrepreneurs can build customer loyalty to a business by using a number of proven techniques. The foremost of these is customer care. Efficient sales and ordering systems. Responding positively to customer complaints. Taking note of customer feedback. Ceaselessly promoting the best possible levels of customer service. Entrepreneurs can also maximise sales opportunities by focusing on customers still further. This involves matching products and services to specific customer requirements; keeping in touch with customers by mail or email; and offering exclusive terms of business to those customers who buy frequently or in bulk. A business strategy should also have a policy of under-promising and over-delivering. For example, an entrepreneur who promises to make a delivery to a customer by a certain date should ensure the product arrives sooner than this. Loyalty schemes are business programmes that offer customers various enticements to encourage repeat spending. Entrepreneurs can base such programmes on different criteria according to preference and the nature of the business. These criteria include the length of a business relationship; the speed at which customers settle bills; the size of orders placed with a business; the total amounts customers spend with a business over a given periods of time; and the number of occasions customers have returned to make purchases. Loyalty schemes can offer discounts, free gifts, or coupons. A common example is the practice of many coffee shops to give a free drink to a customer after a set number of purchases. The coffee shop example requires a printed card to keep a record of drinks bought. More sophisticated loyalty schemes issue customers with magnetic strip reader cards connected to a computer database. The computer monitors what customers buy and when, and issues reward notices accordingly. 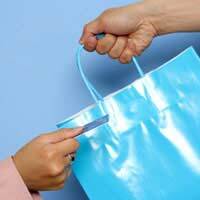 Sales promotions are useful for generating business, but are often impersonal. Entrepreneurs can use them to increase customer loyalty, however, by adopting a targeted strategy based on individuals. Letters or emails for sales promotions, for example, should go to named customers, refer to previous purchases, and use a friendly tone. They should also ask for comments and feedback about a business and its products. An approach such as this that treats people as valued customers can lead to successful response rates, particularly with email. Computer software can also ensure the amount of work in producing personalised messages is manageable. Once the right measures are in place, customer loyalty can develop with steady and satisfying progress. For an entrepreneur, it helps build success, and creates a reputation for customer service that encourages investors to support an entrepreneur’s future business enterprises.